I just got a new whiteboard, which is currently standing propped-up against a wall, still in the plastic packaging material, awaiting installation (Installation? Does one "install" a whiteboard? Anyway...). 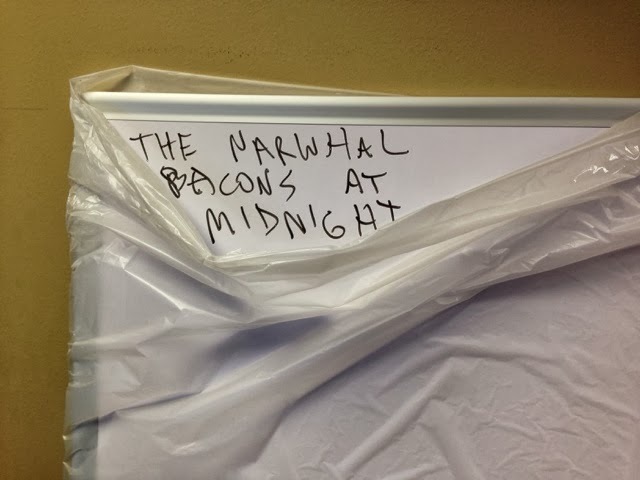 A friend of mine decided to take the opportunity to scrawl a message on it while it's waiting to get hung on the wall. 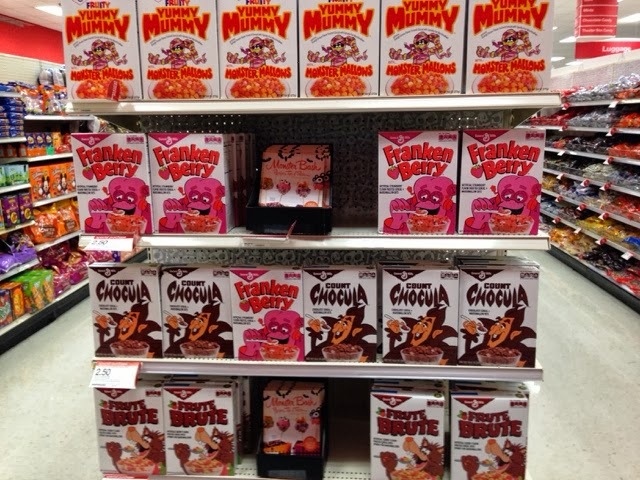 Among the things I enjoy in life are retro/nostalgia, autumn, and Halloween, so when I saw the following at Target today I couldn't help but smile.